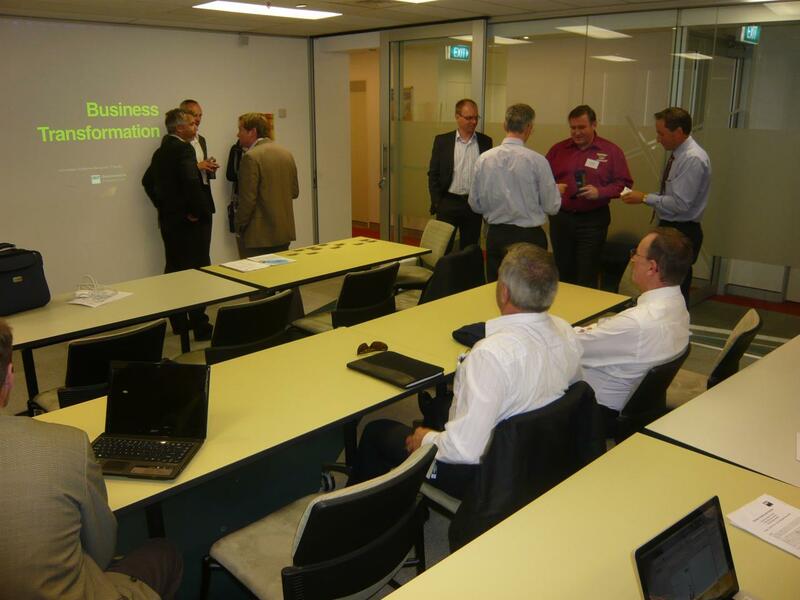 By invitation from Prof. Michael Rosemann from QUT, Dr. Daniel Beverungen joined the Business Transformation Seminar at QUT on July 7th. The meeting was chaired by Prof. Dr. Michael Rosemann and by SAP Business Transformation Services. In addition, Prof. Dr. Jan vom Brocke (ERCIS Member from Liechtenstein) participated in this meeting. Details: The transformation of large-scale businesses is one of the most important, but also most complex managerial challenges. Despite its significance, the related body of professional and academic knowledge is still severely under-developed. Little is known about proven practices, advanced methodologies, governance structures and the role of technology in such long-term initiatives. This gap of consolidated expertise has motivated QUT’s Information System Discipline, recently ranked as the highest performing IS Research group in Australia, and SAP Business Transformation to join forces in establishing the first Asia-Pacific Hub for Business Transformation. Its vision is to become the most trusted source for experiences, case studies and methodologies in the field of Business Transformation. Its membership will be made up of selected and experienced senior executives from leading organisations in the region. This event will be the first of a series of seminars as part of this Business Transformation hub. Participating members, and their organisations, have the chance to establish an early involvement in this initiative.